Everything you need to know about the G20 summit. EXPLAIN TO ME: What do I need to know about G20? World leaders will be converging on Brisbane this weekend to attend the annual G20 Leaders’ Summit. But what exactly is the G20? Who will be there and what will be discussed? Will the city be closed off over the weekend? The G20, also known as the Group of 20, is made up of 19 of the world’s major and emerging economies, as well as the European Union, a contingent that accounts for 85 per cent of the world’s economy and more than 75 per cent of world trade. Member countries including Australia, Canada, China, France, Germany, Russia, the United Kingdom and the United States meet annually to discuss economic cooperation. 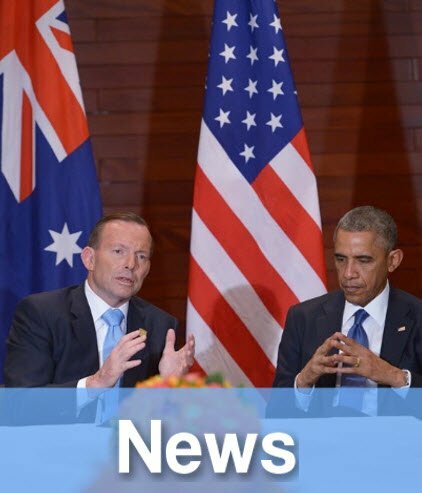 Australia has assumed the rotating presidency in 2014 and is chairing this year’s summit. The meeting will be attended by representatives of the G20 members, as well as those of guest countries invited by the G20 president. About 5,300 delegates will hold meetings inside the summit headquarters, with 2,300 media representatives in Brisbane to cover the event. Spain is a permanent invitee to the summit each year, along with the Association of South-East Asian Nations (ASEAN) chair, the African Union chair and the chair of the New Partnership for Africa’s Development (NEPAD). Mauritiana has been invited as the 2014 African Union chair and Myanmar has been invited as this year’s ASEAN chair. Senegal will be representing NEPAD at the summit. Australia’s other invitees for the upcoming summit are New Zealand and Singapore. Russian president Vladimir Putin will attend the summit despite months of criticism from the Federal Government over Russia’s response to the MH17 disaster. 3. Shoring up global institutions. 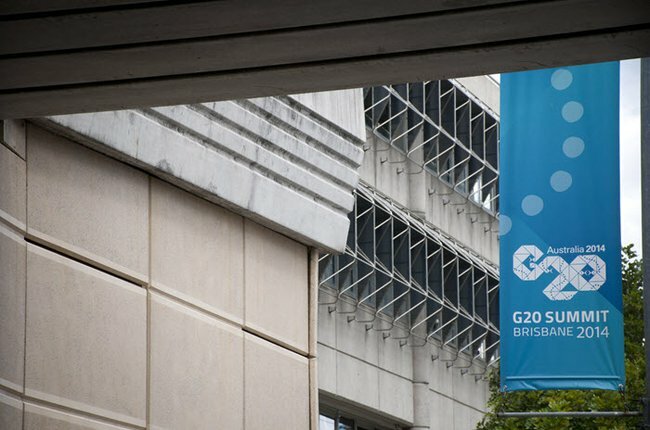 Australia has sought to make economic growth the G20’s top priority since it assuming presidency, amid concerns the annual meeting had lost its way after being upgraded to a leaders’ summit in 2008 to tackle the fallout from the global financial crisis. Mr Abbott said the summit “won’t be a talkfest”. “We have a very clear goal – to boost global economic growth by 2 per cent above what is currently expected over the next five years,” Mr Abbott said in a pre-recorded video message. “All the countries of the G20, including Australia, will be detailing their growth strategies at this summit. The summit will be held on November 15 and 16 in Brisbane’s Convention and Exhibition Centre (BCEC). The purpose-built International Media Centre, inside the BCEC, takes up the space of two football fields. It has 960 individual work spaces and 110 broadcast offices – laid out with everything from printers and computers to pens and post-it notes. There are two press conference rooms, one of which can seat up to 120 people, and they are expected to be used around the clock. Outside the centre, a one-off public holiday for workers in the Brisbane local government area has been declared for Friday November 14, due to the amount of movement restrictions surrounding motorcades for the summit. “If you get a public holiday for the Ekka, then you get a public holiday for the G20. It is based on where you work, not on where you live,” Assistant Minister to the Premier Deb Frecklington said. Ms Freklington said it was an individual decision if businesses chose to open on the public holiday. Protesters in Brisbane. Image via ABC. What security restrictions are in place? 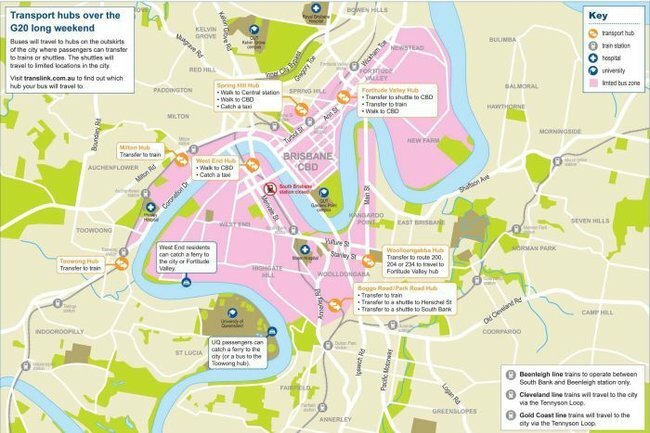 The designated security zone in the city for the meeting will include an area stretching north to south from Bowen Hills to South Brisbane, and extending west to Lang Park and east to Kangaroo Point. Some hotels accommodating foreign delegates will also be restricted to public access during the meeting. The Queensland Government passed legislation in October last year to strengthen police powers during the summit. The legislation also declared special security areas in Brisbane and made it an offence to cross barriers and disrupt meetings. Checkpoints have been set up at Milton and Spring Hill to search vehicles entering restricted zones for explosives and weapons, manned by military personnel who have served in war zones. More than 900 soldiers have spent months training for every eventuality and will help with security over the weekend. A state-of-the-art command centre will manage security surveillance during the summit and will be operated by 150 police officers 24 hours a day. Will there be any street violence? Thousands of people are expected to take part in street demonstrations around a number of issues. Previous G20s have seen violence. In Toronto, in 2010, a group of protesters broke away from the main march, using rocks and hammers to smash shop windows – particularly those of major US chains – and damage police and media vehicles. More than 100 people were arrested. 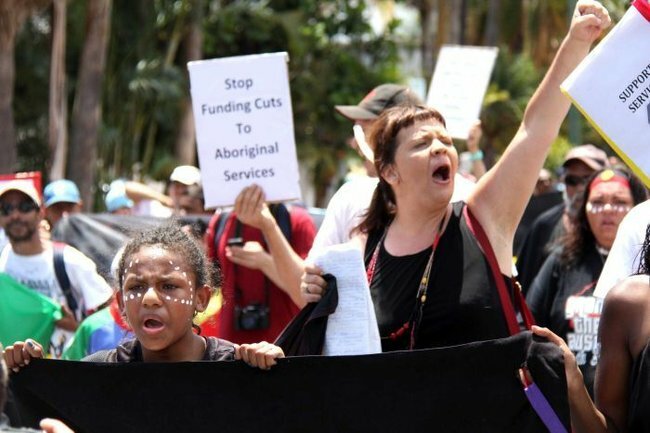 The first protest against this year’s summit was on Monday, with Indigenous rights protesters marching from Roma Street to Musgrave Park, while the Peoples’ March will take place on Saturday. Robin Taubenfeld from the Brisbane Community Action Network said she believed protests would be peaceful. She said there would be a variety of creative responses to issues like climate change, human rights, women’s rights and social justice. Ms Taubenfeld said demonstrators faced 6,000 armed personnel guarding the G20 precinct and would not cause any trouble. “We really need to highlight that violence is coming from the state, not from people who are concerned to make the world better,” she said. 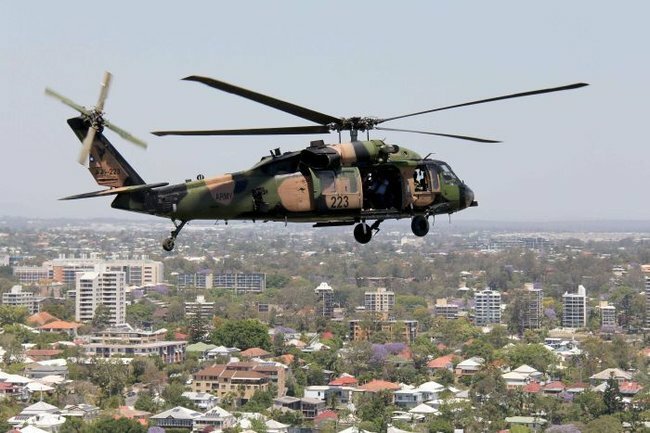 Black Hawk helicopters in Brisbane. Image via ABC. Will the city be closed off over the weekend? The Brisbane CBD and South Bank Parklands will remain open over the weekend, with only some venues around the BCEC and cultural precinct closed off. People are encouraged to come into the city and look beyond the inconvenience of temporary road closures, Brisbane Lord Mayor Graham Quirk said. Brisbane City Council will be offering free parking in the CBD over the long weekend. “We will be having free car parking in both the King George Square and Wickham Terrace car parks on the Friday, Saturday and Sunday of the G20 [November 14-16],” Cr Quirk said. People should feel as if they can move about the city as normal, Queensland Police Deputy Commissioner Ross Barnett said. “For people that are around Brisbane, they should come into the city over the weekend as it is a once-in-a-generation opportunity,” he said. How is public transport affected? Public transport in Brisbane will continue to run throughout the weekend, although some train and bus services will be affected from now until the end of the summit. “The only major closure is the South Brisbane train station,” Translink’s general manager Simon Cook said. “There will be changes to buses too as we cannot bring buses into the CBD. There will be disruptions to buses and trains in Brisbane. Image via Translink. Mr Cook said allowing extra time and planning ahead was key, with commuters advised to leave work by 6:00pm on Thursday. “You should expect some disruption and you may have to change transportation to get to your location; allow extra time,” he said.